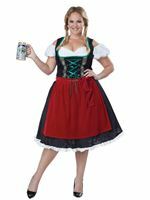 Our Adult Plus Size Nurse IV Costume comes complete with the White Satin Effect Dress with the Sweetheart Neckline and Tiered Skirt with the Red Piping. 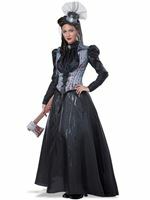 The Dress also details the Heart on the Waist and Buttons up the Front. Completing the Naughty Nurse Outfit is the Matching Headband and 'Nurse IV' Name Tag. X Large 16 - 18 40" - 42" 34" - 36" 37"
Plus Size 18 - 20 44" - 46" 38" - 40" 38"